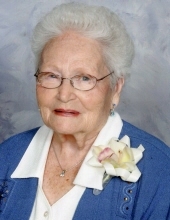 Margaret Wall Spivey, 100, passed away peacefully on Monday after a long and fulfilled life. Born in Johnston County, she was the daughter of the late Charlie and Lila Childers Wall. Margaret was married to the late Joseph “Jack” Franklin Spivey. For over 20 years, she owned and operated a clothing alterations business in Virginia. A service to celebrate Margaret’s life will be held at 11:00 a.m. on Saturday, February 9, 2019 at Stoney Creek Free Will Baptist Church with Rev. Gary Bailey officiating. Interment will be in Sunset Memorial Park in Smithfield. The family will receive friends on Friday, February 8, 2019 from 7:00 – 9:00 p.m. at Seymour Funeral Home and other times the family will be at the home of Willie Nelson. Margaret is survived by her daughter, Wilhelmina Spivey Nelson of Goldsboro and Teresa “T.J” Spivey Farlow and husband Tim of Concord; son, Joseph Dwight Spivey and wife Mary Jane of Myrtle Beach, SC; eight grandchildren, sixteen great-grandchildren and eleven great-great-grandchildren. In addition to her husband and parents, she was preceded in death by a son-in-law, Les Nelson; brother, Charlie L. Wall, Jr. and grandson-in-law, Joe Cochrane. Flowers are welcome or memorials may be given in her memory to Stoney Creek Free Will Baptist Church, 752 Stoney Creek Church Road, Goldsboro, NC 27530. To send flowers or a remembrance gift to the family of Margaret Wall Spivey, please visit our Tribute Store. "Email Address" would like to share the life celebration of Margaret Wall Spivey. Click on the "link" to go to share a favorite memory or leave a condolence message for the family.